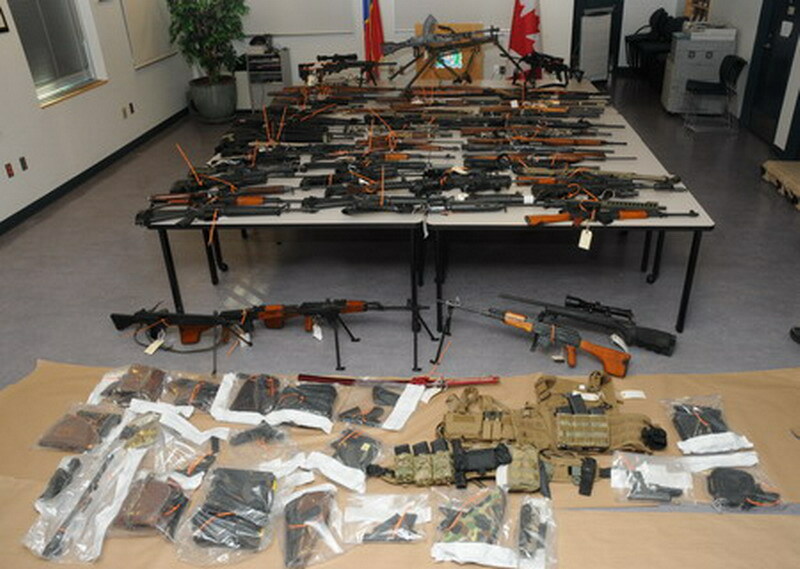 Photo of the guns courtesy of the Campbell River RCMP. 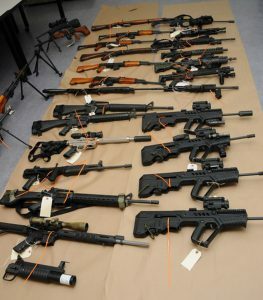 CAMPBELL RIVER, B.C- Hundreds of guns have been seized from a Campbell River home. According to a news release from the Campbell River RCMP, the firearms were found in the home of 55 year old Campbell River resident Tony Green, who does not appears to have a previous criminal history. He was originally arrested after allegedly pointing a loaded handgun at an off-duty officer in the city’s Beaver Lodge Lands on January 28th. The search of his home was started the same evening, and continued until January 31st. “Three full pick-up truck loads of guns, ammunition and prohibited devices were removed from the residence,” read the police news release. 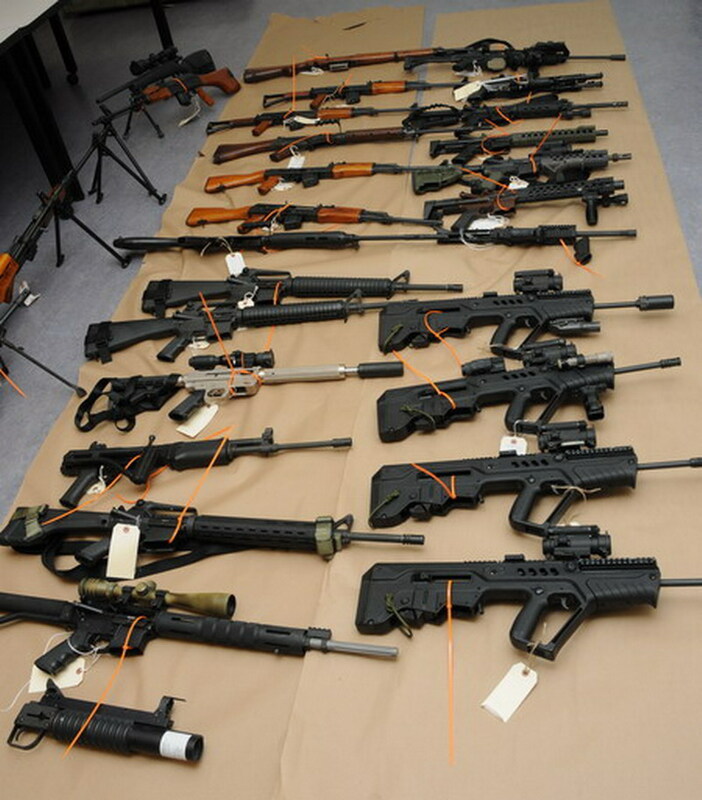 More than 100 guns, hand guns, shotguns, and assault style rifles were seized. Many were prohibited, including a Bren machine gun from World War II with a tripod. 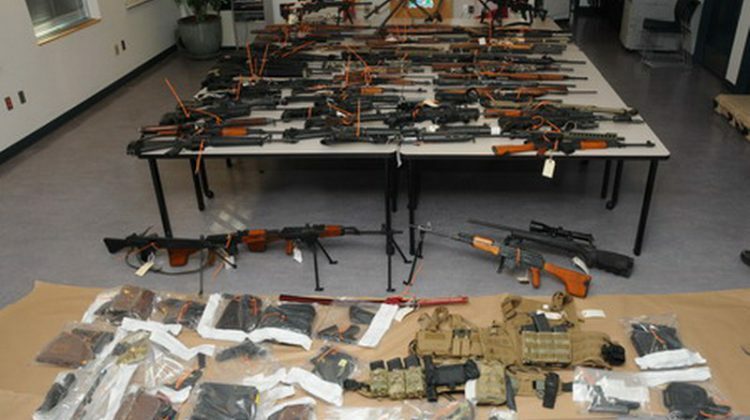 “Investigators also located what can be described as homemade silencers, zip guns, prohibited over capacity magazines and untraceable firearms,” read the release. According to Corporal Ron Vlooswyk, every prohibited device and firearm stored improperly can be considered an individual offence. Vlooswyk also indicated that police do not know why Green had the guns in the first place, and are hoping to interview him again to figure out why. He has not provided much information in previous police interviews. Green does not have any other known associates in town, and with the removal of the firearms from his home, there is no danger to the public. Green is still in custody, and will make his next court appearance on February 12th.